Hyperstrike's Screenshot and Gaming HOW-TOs. How to make the NCSoft Launcher as unobtrusive as possible. Ultra Mode: What do these settings do? The passing of a hero. Well, life just slapped me in the face again. I just found out that Tre Chipman (a.k.a. 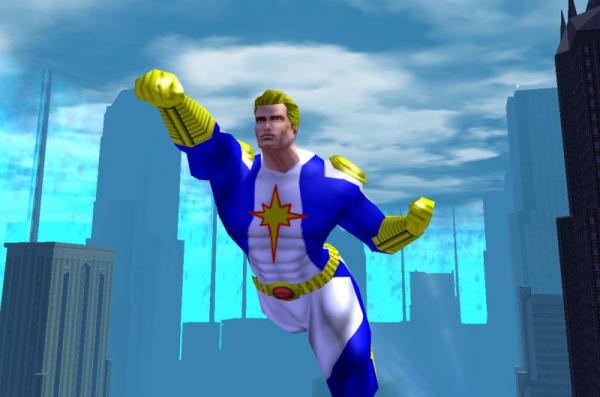 “Ascendant”) from City of Heroes died last night, and I’m now MASSIVELY bummed at this point. For those of you who didn’t get the chance to know The Big A in game, head over here and read up on some of what made him famous in-game. He was always a blast to team with. I even got to meet him a couple times at the assorted Cape-cons I’ve attended over the years. He was every bit as nice and entertaining as he was in-game. And while our community is poorer for having lost him, we’re infinitely richer for the time he gave to us. This entry was posted in City of Heroes by Hyperstrike. Bookmark the permalink.